Over the past two weeks, we have had a great deal of new press. This week we decided to share the best with you. Are you a fan of Extra, the daily entertainment show on NBC? If yes, on February 25th, they started a special giveaway on extratv.com. 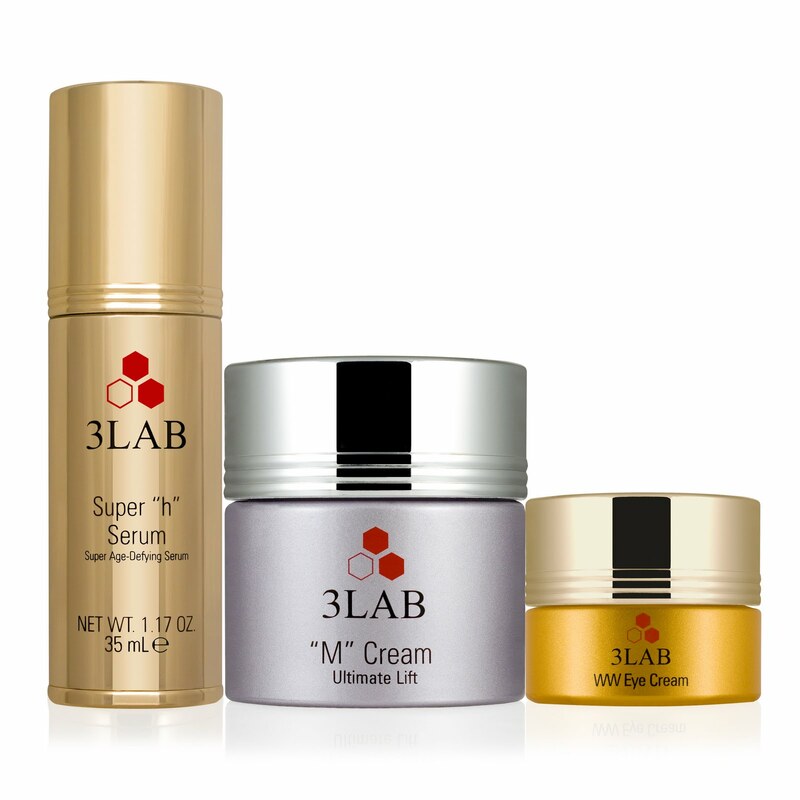 If you would like to win Super 'h' Serum, M Cream, and WW Eye Cream go to http://www.extratv.com/ and sign up! Everyone loves to use the same skincare products as their favorite celebrities, right? If you are a fan of WW Cream you are in good company as Kristen Davis is also a fan. Check out the entire story on ivillage http://bit.ly/hRPuXq ! Across the pond, don't forget to pick up the March 2011 edition of Elle Magazine. You will find your favorite "M" Cream featured in this month's edition packed with great Fashion tips and High Street finds. If you can't get enough you can pop over to Selfridges & Co., House of Fraser or Garden Pharmacy online to purchase "M" Cream in the UK. 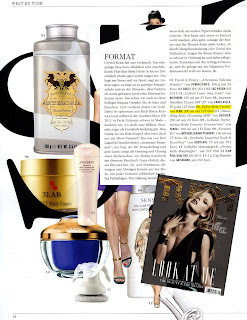 This past week we also received great press on Super "h" Serum and PERFECT Body Cream from our German Market. The March issue of Tush Magazine (Left) features 3LAB's PERFECT Body Cream! We also received press from Vital and Ludwig Magazines. Where would we be without our loyal fans and blog contributors. We would like to send a special thank you to our Facebook fan and Style Apothecary blogger, Denise Freudenberg. We are glad that you love our products and have written wonderful reviews for "M" Cream and WW Eye Cream. http://styleapothecary.onsugar.com/. Don't forget to like us on Facebook at 3LAB skin care and to follow us on Twitter @3LABSkincare to keep up to date with the latest 3LAB news!